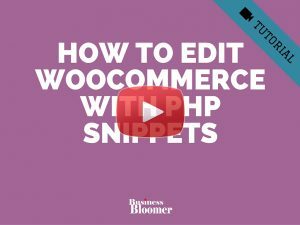 There are times you don’t want to translate the whole installation of WordPress or one of its plugins (such as WooCommerce) just for renaming one short string. There are times you need to rename a label or a little thing and don’t feel like installing a bloated translation plugin. Thankfully, here’s a little PHP snippet that will work for you instantly. Finally, a snippet that worked. THANK YOU! Thank you so so much!!! WooCommerce’s Spanish translation is pretty decent, but a couple of sentences are left in English and it was driving me crazy. I had looked up everything and finally your snippet solved it. THANK YOU! Hey, so glad I found your blog! Worked perfectly fine for translating Wishlist, but did not work for 2 other translations – hover text – in the menu (Account / Register). Any idea what could be done different to make it work? Rodolfo: thanks very much for your snippet. It didn’t work in my system environment: WordPress: 4.9.9, WooCommerce: 3.5.4, Theme: DIVI. Afterwards it worked like a charm. How do I update this to only affect a certain text domain? Thx for the snippet. Works great on my site. I am using loco translate but for some reason it simply won’t translate my Single Product Pages, which is where this code comes in very handy. However, I am also trying to translate the product meta strings (“tags”, and “category”), but this code doesn’t work for that. Does this snippet also work for the WC emails? To translate ‘Subtotal’, ‘Shipping’, ‘Payment method’ etc. On the website this strings are already translated, but in the emails they are still in English. It works perfectly! thank you so much!!!! I had problems with the standard product filters in Spanish , They were only translated for the half. And everything in the MO and PO files was translated.. Did not know where to search anymore. But your wonderful snippet did the trick. 3 strings on a row.. tada! 😀 hope you sorted that out Yavor! to translate string into footer widget..
A simple question: How do I translate a specific text string in the login page? Hey Erik, this snippet should work! What have you tried so far? Brilliant simple solution to all the others i’ve used in the past. 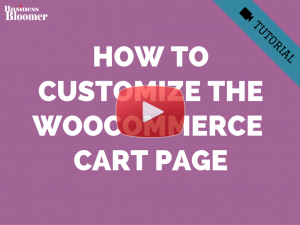 Do have a question, i have ‘Cart’ to change to ‘Booking’ in my secondary header, the text changes onload but then changes back to ‘Cart’ as soon at the entire page loads. i answered my own problem! I tried your code, but it doesn’t work for me… I pasted it in fuctions.php along with the code below to translate the shop and checkout. Any ideas why? I am trying to translate the page in English and Spanish. Hey Paloma! If you’re using Polylang you don’t need this snippet as well – it should be sufficient! Once more a great help! Thanks. However it does not seem to work with special characters. if I put the german word “Wähle” the whole phrase just disapears completly. “Wahle” works fine. Any idea how to work around that? Hey Luise, thanks for your comment. I’m not 100% sure here. Maybe give https://wordpress.org/plugins/say-what/ plugin a go. I tried your code ( 4-02-2018 ) & it didn’t work, put that in child theme’s functions.php. trying to convert ( VAT Inc. ) to German. I have tried everything and wasted around 1 day trying to fix this problem. And yet, your simple code works! Thank you so much! works like a charm. Thank you!! This saved me a lot of time digging through my theme. 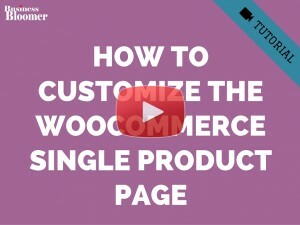 It worked on all of the woo commerce. But it is not translating the Tax Names. Say If I have a tax name “GST Handling Fee” and I want to change it to ‘HST Expedition Fee’. It is not working. Thank you for all the cool videos. I have a multilingual Woocommerce site (4 languages). 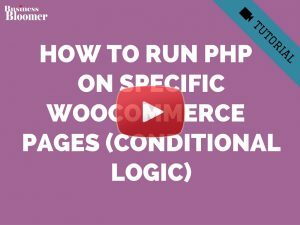 I use polylang, Hyyan WooCommerce Polylang Integration and Loco Translate to manage the different languages. 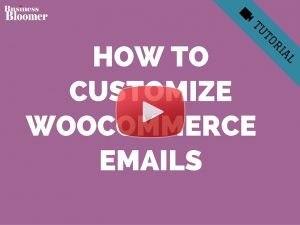 I would like to completely change the text of the Woocommerce emails (for example the one for a new user). This would involve changing the customer-new-account.php template file and all the related strings in the .po files. 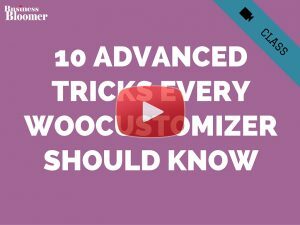 What would be the best approach to do this especially considering that the plugin could be updated in the future? This saved me some trouble with translating some mystical plugin parts, thank you. But the thing about is, it searches for ALL strings on your website, not considering the context at all. Let say you I want translate one word like the preposition “of”. Now, the letters “of” may appear in hundreds of words on the website – like ” loft” or “soft” etc. They will all be replaced, which is of course not desirable. How can I possibly prevent this unwanted translations? I want to translate: year, week, day. any other possible way ? Hey Itayko, not sure here 🙂 Unfortunately I cannot provide custom work here via the blog comments. and I want “Karta katalogowa” to be translated to “Datasheet” when I’m on English version of my site. Can I base on other automatic translation and wrap your above translation code in somethig like “if description_tab name is “Description” -> translate, else -> do not translate. What do you think? How to refer to other tab title? Once you create the string, you can definitely use a translation plugin such as SayWhat, Polylang or other to target that in your own language. Hey Adam, thanks for your comment! This snippet works, I use it on many websites – so maybe you made a syntax error. What error do you get if you enable wp_debug? Hi i tried this and it worked just perfectly, question is; Can i edit more than 1 string if yes, how can i do that? Excellent, thanks Ifeanyi! Yes, that is possible with basic PHP – look into the SWITCH CASE PHP documentation and you should figure a way to achieve what you need 🙂 Hope this helps! Works perfectly, thank you Rodolfo! 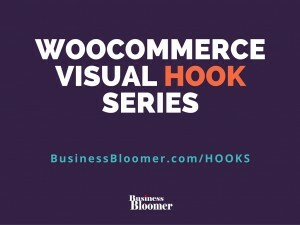 Sorry to bother you again, you pointed me to this article after answering my query/comment on the Woocommerce Emails Visual Hooks page. 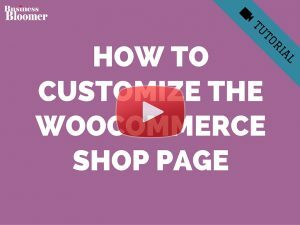 Can I translate more than one string, i.e) from two different Woocommerce Emails within the same function or do I need to repeat your snippet from above for each translation string? Sorry to bother you again. I’m trying to change the text for the completed order email when the customer has chosen the ‘Collect In Store’ shipping option in the cart. Is this possible with string translation or is there a different approach?. Hey Andy, yes, it should be possible. Have you tried it yet? No because I dont know how to specify/target the collect in store shipping option. But I want to change this string specifically for when a customer has bought something via Collect in Store. So when the admin marks it as complete, a custom completed order email is sent to that customer. Gotcha 🙂 Yes, this is possible of course – but unfortunately this is custom development work and I cannot provide this solution on the blog right now. If you would like to get a quote for the fix, feel free to get in touch. Thanks for your understanding! This way was working previously. 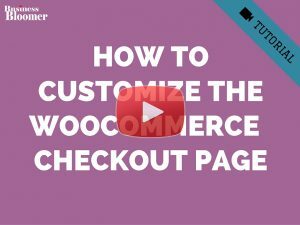 On latest WooCommerce it does not work anymore. Any suggestions? Thank you. Fansi, thanks for your feedback 🙂 This is a WordPress filter, so I find it strange it’s related to WooCommerce latest update. Can you check again and let me know? Thank you! doesnt work for me. Why is this? Mira, thanks for your feedback. What string are you trying to translate, can you tell me the link of your website page? Very nice – I wander if there is much performance issue translating this way or some other reason editing the po would be better.. Yes, of course. I would recommend to translate max 10 strings or the PHP could slow down your website. Above 10 strings I would choose the “po” method! Thanks for your feedback!